Super Star Rajinikanth is currently busy with his films 2.0 and Petta. After much after thought, he announced his entry into politics last year. However till now, Rajinikanth didn’t announce the party name or his future plans. While fans and supporters are waiting eagerly for the all important announcement and many expect him to do so on his birthday on Dec 12, his political rivals are making fun of him with powerful satires. 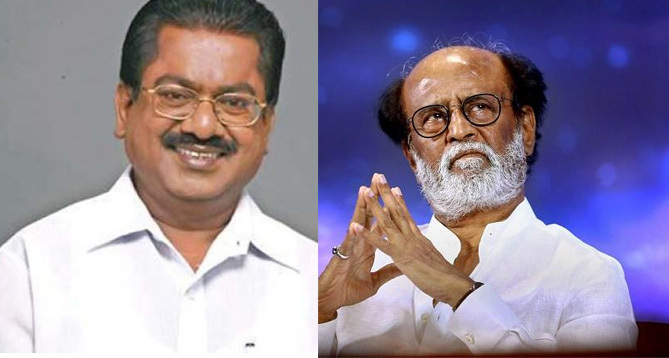 Tamil Nadu Congress leader TKS Elangovan said Rajinikanth has no plans to start his political party and he remembers politics only during the release of his new films. He said he has no belief that Rajini will start his party and doubted that Bjp is behind Rajinikanth. He said Rajini talks about politics only during the release of his films and warned that if Rajini join hands with PM Modi's Bjp then he will disappear from the scene. Sarkar: Pawan Kalyan Concept Copied!